Brandon and I received our L1 certification at the USA-South Autumn Conference 2017 in Ardmore, Oklahoma, becoming the only certified judges in the Texas Heartland – otherwise known as the middle of nowhere. There were no other certified judges in Abilene, Brownwood, or Stephenville. When we expanded our search, we found a similar problem in many other rural areas of North Central Texas. Almost immediately after we passed our certification, Brandon and I began talking to Erin Leonard , one of our mentors in the DFW area, about the idea of organizing a miniconference. Our purpose was twofold: to connect and develop judges across the North Central area of Texas, and test candidates from as many cities in the area as possible. One goal of the miniconference was to give hands-on experience to new judges in the North Central area of Texas. 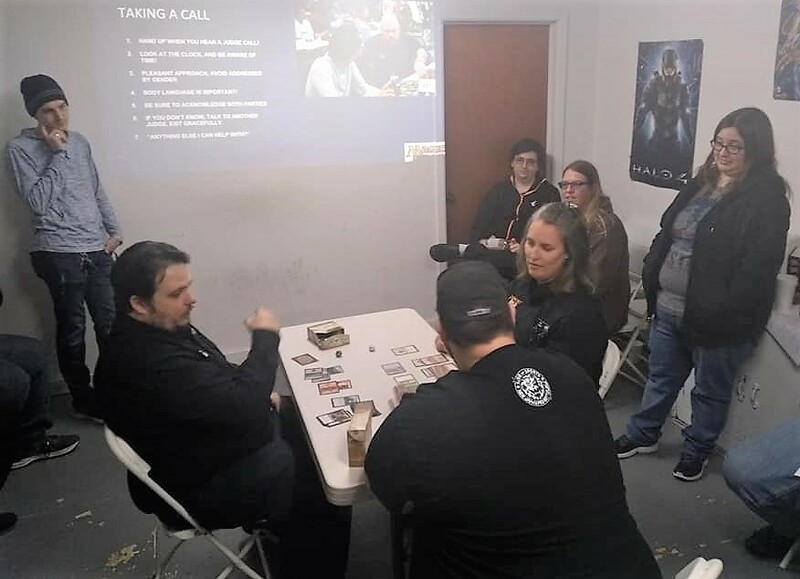 Many of our attendees were reached through networking with the local game stores of each city in a 100 mile radius of Brownwood (we later expanded that radius after the Wichita Falls judge community, led by Sara Anderson, reached out to us). 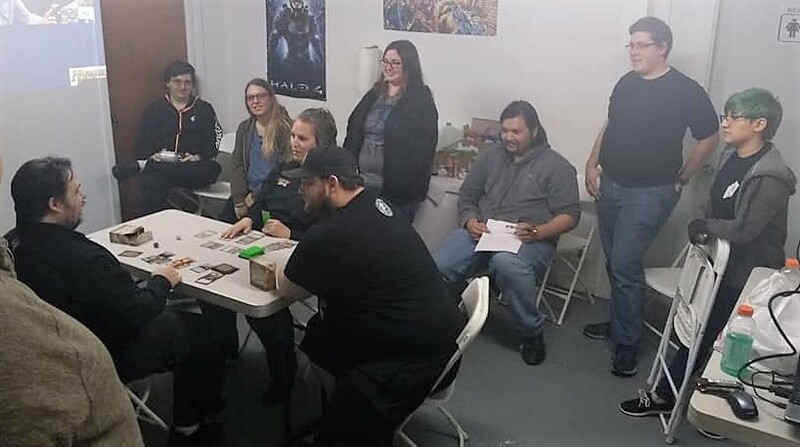 We also formed a Facebook group for judges, TOs, store owners, and Magic players interested in developing the local judge program and connecting the game stores of the area, which was used to advertise for the miniconference and provide study questions for our candidates. Other applicants were found through the USA-South Facebook group and judgeapps. During the planning process for this miniconference, our local store went through a change of name and ownership. 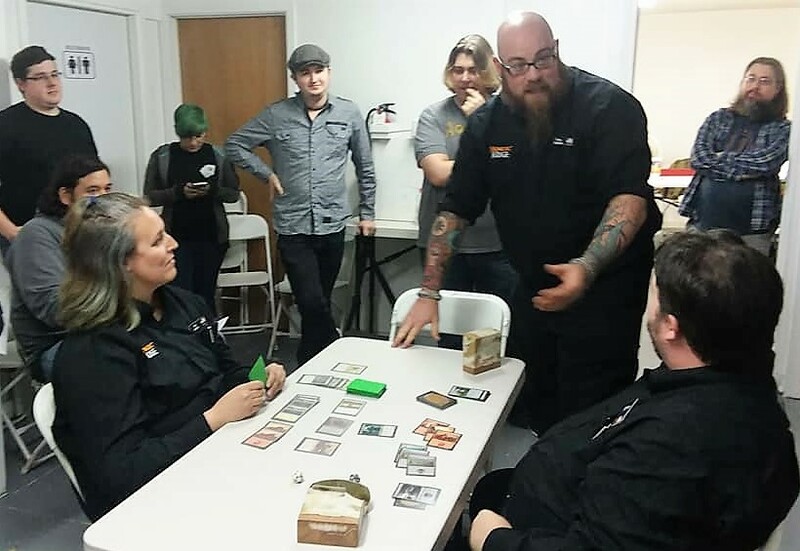 Amidst our concerns of finding a space large enough for the event, the owners of CDC Games were happy to host us in their tabletop room. 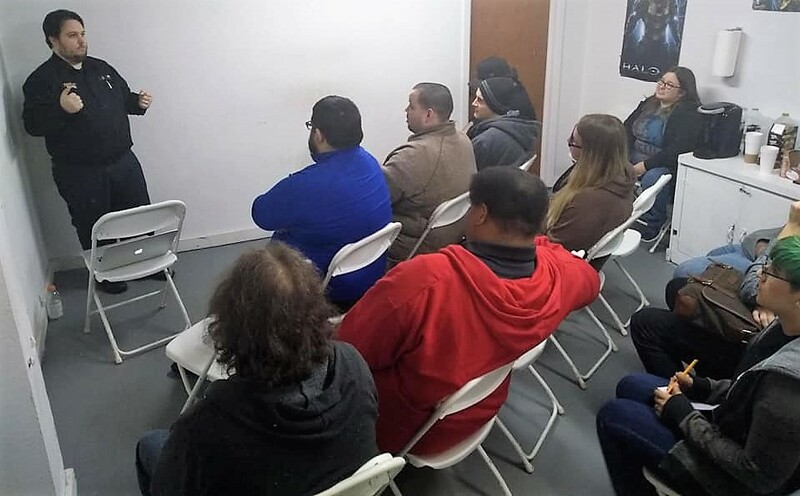 The week before the conference, Brandon and I met at the shop to plan for accommodating 20 or more attendees in a relatively small space, and whether we would be able to set up a projector for PowerPoint presentations. Erin Leonard, L2 from Grapevine, presented the keynote for the miniconference. 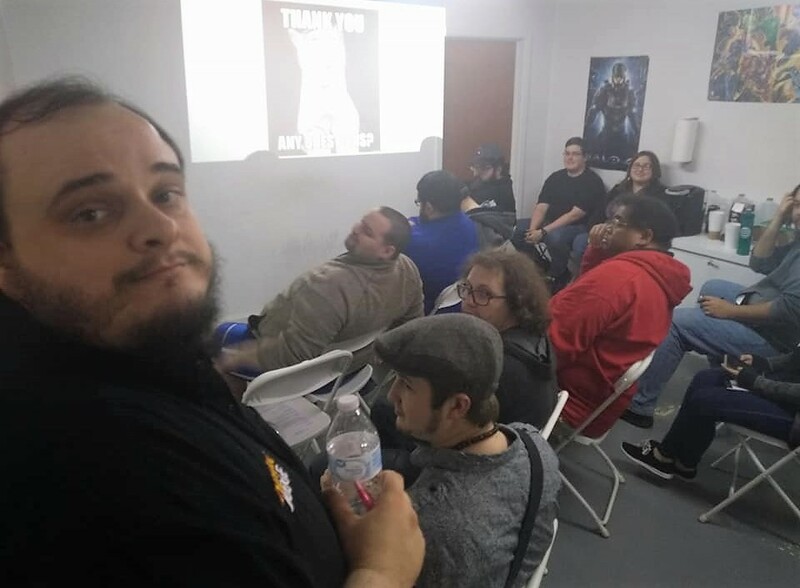 The day before the conference, while two of our judge candidates ran the FNM (one of whom is the TO and only needed guidance with judge calls), Brandon and I worked with one of the owners to clear away the roleplaying tables and set up the chairs and projector. One of our close friends from the shop brought his projector and laptop and agreed to serve as the media coordinator for the event. Setting up the chairs for the conference presented a unique challenge. On the right side of the room, a table was permanently fastened to the wall. We decided to use the table to provide coffee for the attendees, so there needed to be a clear walkway. We needed a narrow walkway on the left side of the room, leaving minimal room to fit four rows of five chairs. In the front right corner we were able to fit two chairs side by side, and three chairs fit easily in the back right corner by the projector. Even so, there was a lot of wasted space in the front of the room. John White, L2 from Watauga, presented on Judging at Regular. In the end, we decided to situate the chairs to put the focus on the front left corner of the room, where the presenters would stand, while also giving sufficient focus to the PowerPoint presentations in the center of the wall. This involved a slight curvature to each row of chairs, which you can see in the pictures above. All 21 attendees posing in front of CDC Games. The focus of the miniconference was the growth of the judge program in the TX North Central area. With this in mind, the theme of the weekend was community, mentorship, and experience. We were fortunate to have the help of so many experienced judges who presented on a variety of topics relevant to an audience of predominantly L0s and L1s. Jonathan Dean, L2 from Waco, filled his presentation on judge reputations with a sufficient amount of memes. In a live-action judge call, L1 Alex Huebner from Keller abruptly silences the bickering players. When the final presentation concluded, we thanked everyone for attending, requested that everyone take a moment to tidy up the space, and handed out feedback sheets for the presenters. Michael Arrowsmith aka “Baldy”, L2 from Chicago, demonstrates the proper method to taking a judge call. After each presenter received their feedback sheets, certified judges in attendance were provided with judge foils. Each attendee also received special City’s Blessing tokens. Any judges who did not have to immediately begin the trek home were invited to dine at Underwood’s Cafeteria, a popular tourist spot. Baldy takes a selfie with fellow judges at Underwood’s. 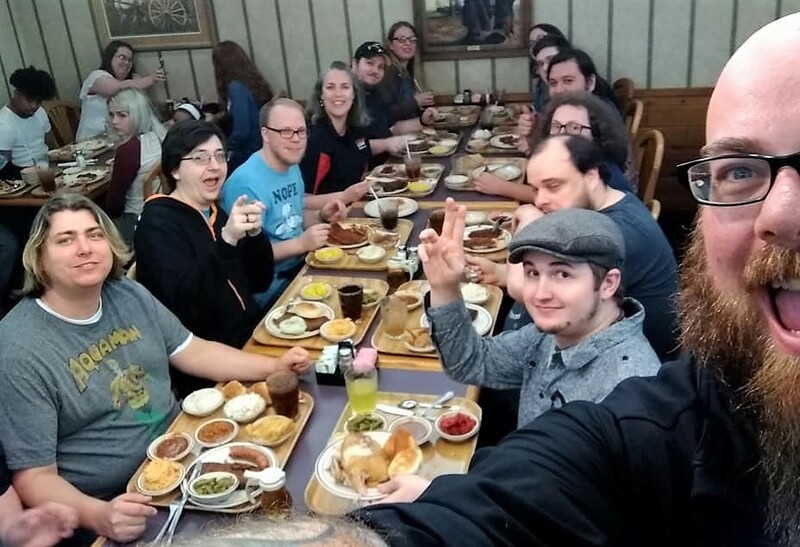 When we met with the store owners the week before the conference, we were assured that the large roleplaying table – disassembly required – would be moved before we needed to set up the room. When we arrived that Friday, it had not been moved and we had to wait until 11pm that night to set up the room. It was less than ideal, even if the circumstances couldn’t have been helped. Setup took about an hour and a half, including sweeping and mopping the floor, setting up the chairs, and finding extension cords. If at all possible, we will make an effort at our next miniconference to have everything set up a lot sooner than the night before. The first snag we hit on the day of the conference was also out of our control, but it was handled professionally by everyone involved. Our start time was delayed by 15 minutes due to a group from out of town leaving later than they intended. As a result, all presentation times prior to lunch were pushed 15 minutes. Since we had such well-prepared presenters who each took almost exactly an hour, the change was unnoticeable. When we reconvened following the lunch break, everything was back on schedule. Erin came through for us as the de facto testing coordinator by bringing her own laptop and printer for the purposes of generating and printing out L1 exams. The process of setting this up began 30 minutes before the conference was scheduled to begin. There were some technological issues, but John lived up to his reputation and quickly resolved them. In the future, we will pay closer attention to who is printing off the exams, and when this process will begin. A mix of newly certified and experienced L1s tried their hand at managing difficult judge calls. All the presentations were well received, but I’d like to nail down topics a lot sooner so the presenters have more time to put things together and send us their presentation files for feedback. This will enable us to prepare the attendees, if for example a presentation has a certain amount of time for Q&A. We can also make sure none of the presentations cover the same material (this did not happen at our conference, but the presenters had to check with each other at the last minute that they weren’t overlapping topics). I would consider this to be a good problem overall, as the presentations fit well within the theme for the weekend. During the latter half of the miniconference, Brandon and I realized we were so focused on making sure the conference went smoothly beforehand and while it was going on, we had forgotten to print out feedback sheets. Erin, who runs the USA-South regional conferences, has a great system for feedback which either utilizes Google Forms or color-coded feedback sheets. We were not nearly as organized. Most – if not all – attendees were unaware of this brief snafu, and the feedback sheets were ready to go well in advance of the conference’s conclusion. At the end of the final presentation, we thanked everyone for attending and explained the process of cleaning up, filling out feedback forms and exchanging them for foils, and driving to Underwood’s. Afterwards, we realized it will be a good idea to “script” the opening and closing of the next miniconference much like the planning of head judge announcements. By the same token, we want to do a better job with introductions at the beginning of the day. Many attendees went to the L2s with questions, who then directed them to Brandon and myself. We’re both what you might call “behind the scenes” people, so it was an easy mistake to make. From now on, we plan to give introductions of organizers and presenters at the beginning of the miniconference to avoid confusion. All attendees will also receive name tags in future conferences. The process of receiving feedback forms, getting them to presenters, and departing for dinner took a little longer than I would have liked. 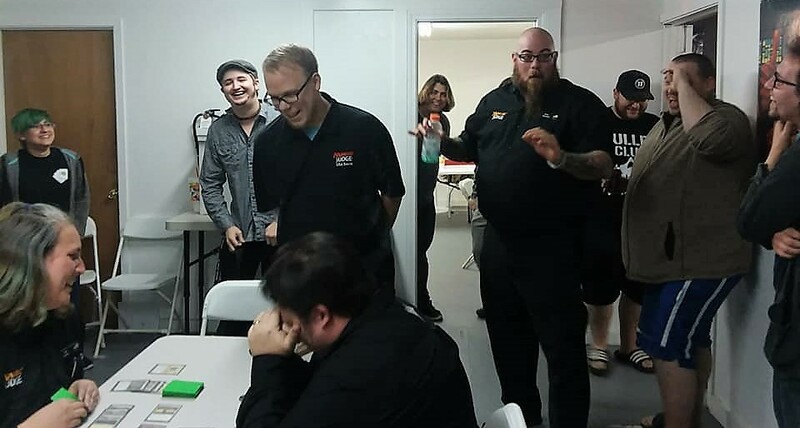 There were no complaints, and everyone generally enjoyed each other’s company, chatting and looking at the store’s stock of Magic singles. Still, it’s an area we’d like to improve upon. In future events, giving out feedback forms at the beginning of the day will expedite the process considerably. 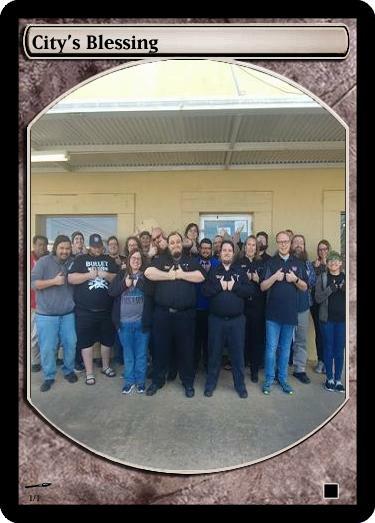 The first miniconference ever hosted in the North Central area of Texas exceeded all expectations. Four new judges, representing Wichita Falls, Stephenville, San Angelo, and Brownwood, received their L1 certification. 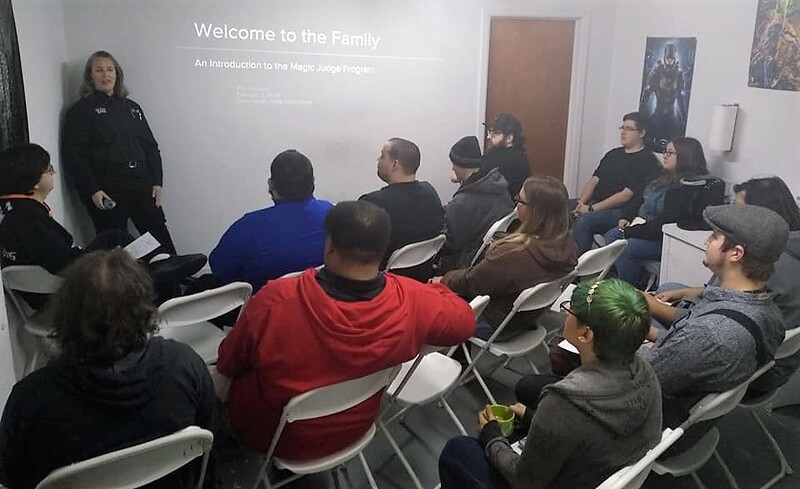 Though our next miniconference is still half a year away, we already know of half a dozen candidates in the North Central area who have expressed interest in the judge program, as well as newly certified L1s looking to continue their mentorship. The presentations and hands-on approach to learning is an invaluable education tool for judges of all levels of experience. Rules Lawyer: Update and clarifications!